Offering you a complete choice of products which include rubber stamp washing brush and rubber stamp transparent handle. 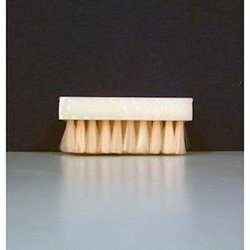 We are a valued organization engaged in providing comprehensive range of Rubber Stamp Washing Brush. These products are built using high certified quality nylon material. They are developed by our highly professional designer, which makes them one of the significant products in our stock.